Cat #20467 | I Want To Draw a Cat For You! Tanya wanted a surprise cat drawing for her birthday. 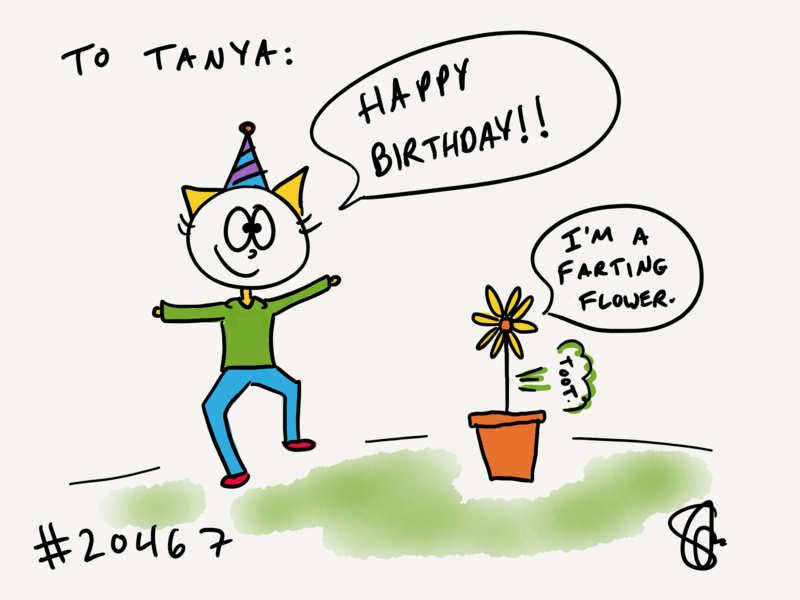 I added a farting flower! Whoopy!